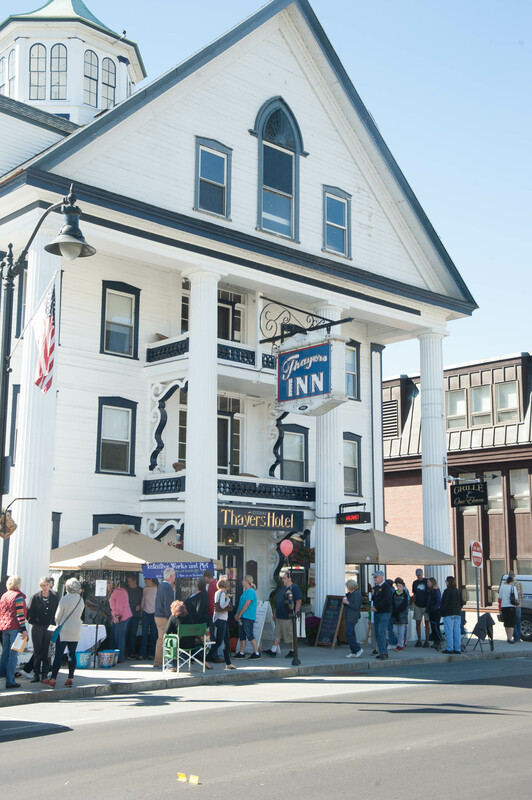 Thayers Inn is located on Main Street, Mill Street and Ammonoosuc Street in the Riverwalk District of Littleton, New Hampshire. 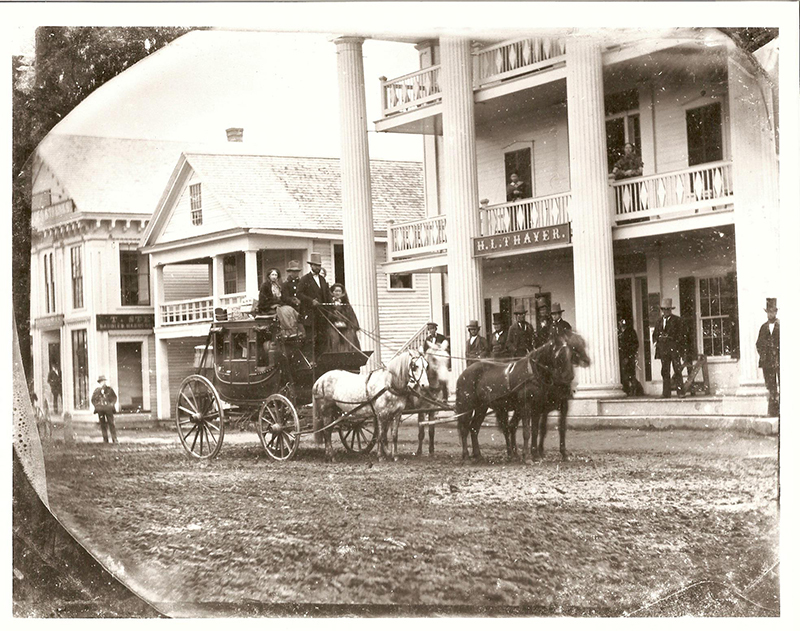 Opened in 1850 as Thayer’s White Mountain Hotel, Thayers Inn is now the oldest continuously operated hotel in the White Mountains, and has long been a destination of choice for travelers looking to work, rest and play in the area. Slanted doors and crooked floors add character to the building and is testament to its heritage and post and beam construction. The hotel comprises of 35 bedrooms and suites. Just one mile off I-93, Thayers Inn is an easy 2.5 hour drive from Boston, with only one yield sign and one stop light in between. Montreal is equal distance, so Thayers is convenient for our Canadian friends. Once here, you can see Mount Washington and the Presidential Mountain Range from our roof top cupola or drive to explore the White Mountain and Northeast Kingdom. Sight-seeing, hiking, biking, skiing, snowmobiling, canoeing, zip-lining and many more activities are easily accessible from our hotel.